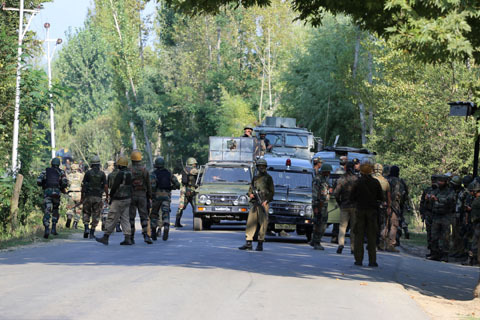 Srinagar: One militant has been killed in ongoing operation after a gunfight broke out between security forces and militants on Thursday in Yaroo village of Langate, Handwara in north Kashmir’s Kupwara district. A senior Police officer told a news agency that apparently one militant has been killed as his body is visible at encounter site. The officer said that operation is still in progress as there could be more militants present. Quoting reports news agency said that the house where militants were hiding has been blasted. Meanwhile, the Internet was suspended yesterday in Sopore and Handwara for precautionary measures.